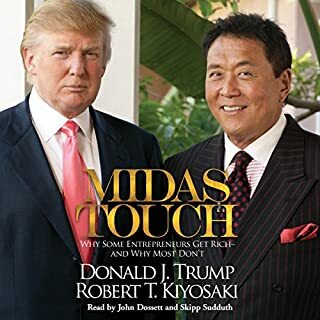 In the tradition of their number-one blockbuster Why We Want You to Be Rich, the all-star team of best-selling authors Donald Trump and Robert Kiyosaki reunites to teach listeners what it takes to be successful and influential entrepreneurs in Midas Touch. What makes some business owners wildly successful? What separates the entrepreneurs who build businesses from ones who just seem to create more work for themselves? Here are answers. This book points out where entrepreneurs struggle. Gives you pointers on the things that you need to do to improve your business and grow your assets. 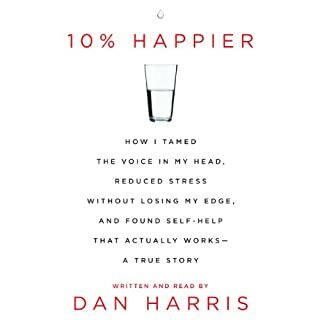 After having a nationally televised panic attack on Good Morning America, Dan Harris knew he had to make some changes. A lifelong nonbeliever, he found himself on a bizarre adventure, involving a disgraced pastor, a mysterious self-help guru, and a gaggle of brain scientists. I have wondered about so many of those things that you talked about I'm glad I'm not the only one. You shed light on whole bunch of things that I was thinking was weird too. Now I feel like I'm just part of the in group. 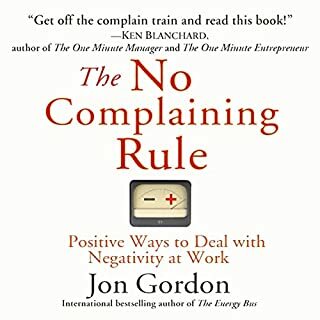 In the spirit of his international best seller, The Energy Bus, Jon Gordon once again shares an inspiring and enlightening story that reveals a powerful way to tackle the biggest problem in business and life - the negativity that costs organizations billions of dollars and impacts the morale, productivity, and health of individuals and teams. Seems like everyone nowadays is complaining about everything. This book reminds you to be thankful for all that you have, and to remember how blessed you really are. Only a few months into her new job, Nancy wondered whether or not she should have said yes to the CEO position at Soup, Inc. Sales were declining, bankruptcy and takeover rumors were swirling, and employee morale had never been lower. The company had lost both flavor and heat; and nobody likes lukewarm soup. How was Nancy going to turn it around?Sometimes the answer you need is right in front of you. Grandmas always know best. 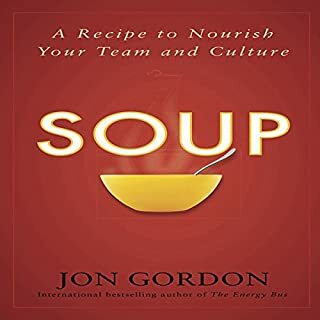 Book is a good reminder to always treat your company players with care and compassion.